14k gold custom made solitaire ring consisting of round shape, natural diamond, weighing 0.73 carats, having a I color and VS2 clarity, according to GIA grading scale. 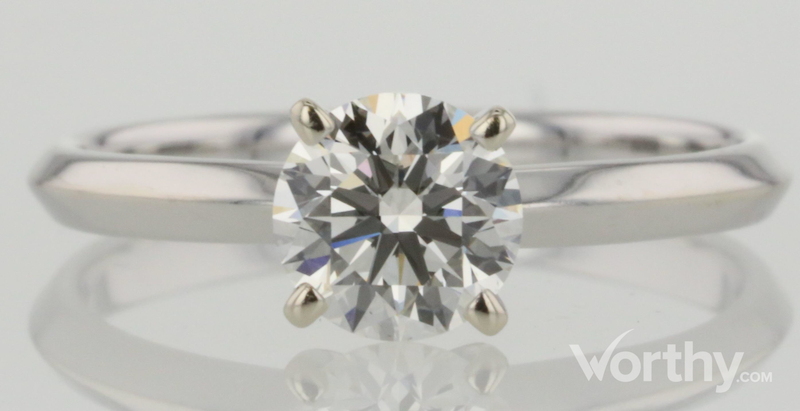 The center stone measuring 5.75mm x 5.77mm x 3.58mm and carries a GIA grading report, No. : 1145775493. Inclusion Description: The grade making inclusions: four very small dark feathers located in the crown inside the table and a small pinpoint cloud. WE DO NOT HAVE THE HARD COPY OF THE GIA REPORT YET. The client is shipping in a hard copy to us. Stone has been verified through GIA database.